In a Nutshell: With a member-first philosophy, credit unions are known for investing in the financial health of members. Located in the Phoenix Metro area and serving more than 125,000 members, Arizona Federal Credit Union has found a way to take that concept a step further by providing members with access to hands-on financial coaching and tools they can use to get a more complete picture of their finances. By devoting resources to these ventures and conducting financial literacy seminars and workshops in the community, Arizona Federal continually demonstrates its commitment to improving the financial situations of its members. One aspect often overlooked in the realm of financial difficulties is that high levels of debt are sometimes unavoidable. The high costs associated with the US healthcare system can put people in tough situations that can lead to overwhelming debt and damaged credit scores. In fact, medical debt is the top source of personal bankruptcy filings in America. Let’s look at the case of Mary. While the story of this Arizona woman is true, her name has been changed to protect her privacy. Unfortunately, Mary experienced some health issues that led to unpaid bills and mounting debt. Unsure of where to turn for assistance, Mary decided to visit one of the 12 local branches of her financial institution, Arizona Federal Credit Union. Luckily, Mary chose wisely when she decided to initially bank with Arizona Federal because it’s a credit union that puts a lot of effort into financial coaching and ensuring members have the resources available to improve their financial health. During a conversation with one of the financial coaches at Arizona Federal, Mary revealed she’d been borrowing from friends and family to meet her debt obligations and had barely avoided having her car repossessed, which could have compromised her ability to maintain her employment status. She also explained to her financial coach that she wasn’t setting a budget and didn’t have a good sense of her monthly expenditures. The coach at Arizona Federal guided Mary in establishing a spending plan, and she was able to secure a small personal loan to help her consolidate some of her bills. After regular reviews and follow-ups, she is now current on her bills and has managed to get a handle on her debt situation. This sort of personalized financial coaching is offered free of charge to members of Arizona Federal, and it’s something the Phoenix Metro-based credit union takes great pride in. We recently spoke with David Kexel, Director of Marketing Communications at Arizona Federal Credit Union, to find out more about Arizona Federal’s commitment to its more than 125,000 members. One of the advantages to membership in any credit union is the personalized service you receive as a member. This is particularly true at Arizona Federal, where the commitment to financial empowerment is a driving principle in its service to the community. Financial coaches at each branch are trained to provide counseling and advice on a range of topics that members might encounter. Specialists meet with members to go over topics such as reviewing and understanding their credit scores, discussing refinancing or debt consolidation options, and providing tips or strategies on improving credit. Membership with Arizona Federal means having access to a range of these personalized financial services and opportunities. The credit union’s personal financial coaching program may provide the first opportunity some people get to speak with an expert about their specific financial situations. Often, this one-on-one counseling may be what members need most to begin building good financial and budgeting habits. For example, one valuable lesson could be the importance of credit scores and how much of an impact they have on the interest rates someone is charged on virtually any financial product. It’s a cruel irony that people with the worst credit scores are charged the most for financial products, but it makes perfect sense from a lender’s perspective. Loans that are deemed a higher risk are priced at a higher interest rate to cover the costs associated with greater default rates. So it’s important to understand how crucial it is to make smart financial decisions to improve credit and gain access to more advantageous rates in the future. These are the areas of expertise for the financial coaches at Arizona Federal, and they can make a huge impact on members’ lives with actionable advice and information. Arizona Federal serves members and the community in other ways besides one-on-one coaching. The credit union’s focus on financial literacy extends to workshops and seminars that are offered in branch locations, and to businesses and community groups throughout the greater Phoenix Metro area. Arizona Federal’s Financially Empowered magazine is a publication that helps members improve their financial literacy. These financial workshops and seminars are a way for members of the credit union and the community at large to learn about details relevant to their financial lives. Delivered by experts on the subjects, these events build financial literacy within the community and address needs that might otherwise go unmet. 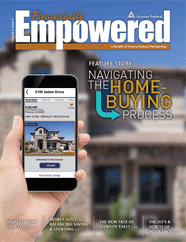 Another resource that’s been a hit with members is Arizona Federal’s Financially Empowered Magazine, a quarterly publication that covers different financial topics in some detail. In this hard-copy publication, the credit union offers tips and information on saving money, buying a car, getting a mortgage, and other relevant topics like credit and insurance. Many of these articles can also be found online on Arizona Federal’s blog. Of course, any financial institution these days has to maintain a robust set of resources, both online and via mobile applications. Arizona Federal members benefit from tools like identity and credit protection, personalized controls and alerts for card management, and a full-featured mobile app that lets them track their accounts, deposit checks, pay bills, and transfer funds, among other key functions. But the credit union’s most exciting personal finance tool is its Money Management tool. The program tremendously simplifies financial management by letting members keep track of all their accounts — even those with other financial institutions — from one place. 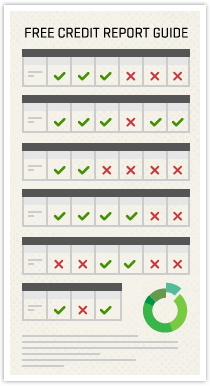 It can keep track of your spending by category and create budgets based on your spending and deposit habits. The Money Management tool is perfect for people who want to take better control of their finances and put technology to work for them. The feature can also show members their spending in an easy-to-see view called Bubble Budgets. This view tracks the categories you spend the most on and represents them in larger or smaller bubbles depending on your volume of spending. Whether you’re at your computer or out and about with a mobile device handy, Money Management will show you exactly where you are with your personal finances. Credit unions, like Arizona Federal, have many built-in advantages when it comes to supporting the financial health of their members. The biggest key is that, as not-for-profit institutions, credit unions and their members have a “we’re all in this together” mentality. So when a credit union is doing well, it takes those profits and reinvests them into ways to help bolster the financial success of its members. This can take the form of better rates on financial products, improved technology, and the development of financial literacy resources. Started in 1936 by City of Phoenix employees, Arizona Federal has grown to the point where it now has a dozen branch locations and manages more than $1.6 billion in assets. This growth has allowed Arizona Federal to invest in its members and support programs like personal financial coaching. Because when members like Mary can tackle their debt and get back on track, it’s good for everyone at Arizona Federal.